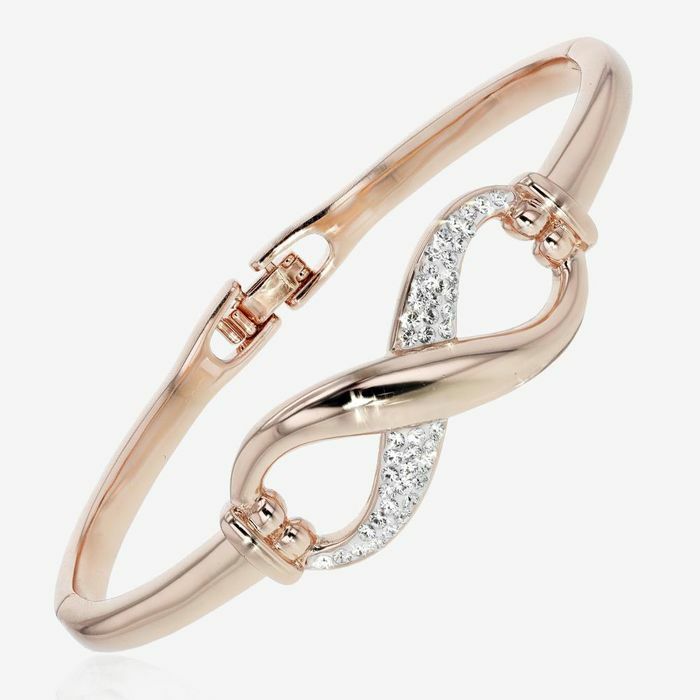 Hand set Swarovski crystals contrast beautifully with the highly polished crossover element to create a gorgeous Infinity Design Bangle. This is an absolutely stunning creation and one you will be proud to wear. Matching items available. Great gift idea. What do you think of this Warrenjames deal? Ive seen these in store. Just a shame theyre not sterling silver cos I would want to wear it all the time.